With the Support module enabled, every user can submit a support ticket in case of a problem. The ticket is sent as a plain text email to the email address set in the SUPPORT_EMAIL setting. The user who submits the ticket may receive a confirmation email depending on the SUPPORT_USER_CONFIRMATION setting. 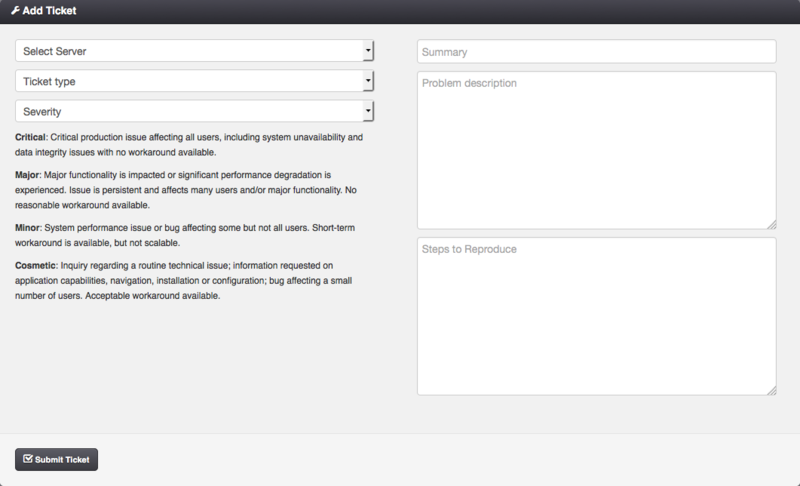 The Support module can be disabled via the virtual data center settings page.